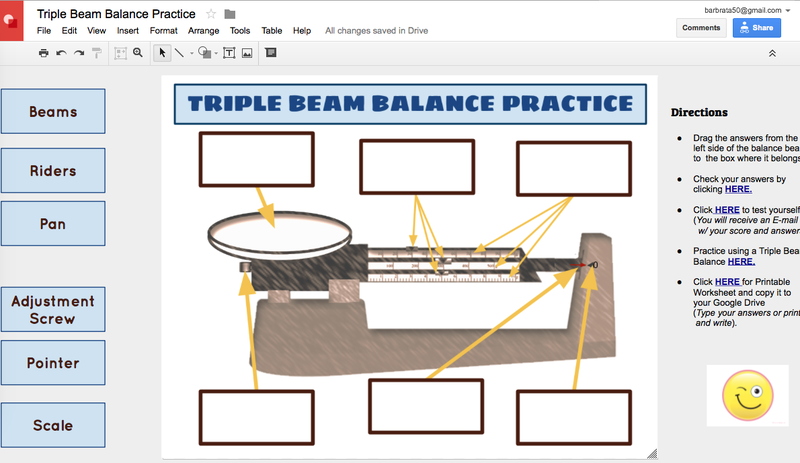 Google Drawing provides 3 standard sizes and a multitude of custom choices to pick from when choosing a page setup of an Interactive Manipulative. The standard 4:3 is equivalent to a width of 10 inches and a height of 7.5 inches. 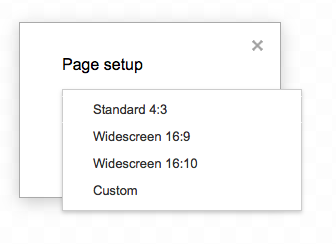 Widescreen 16:10 is equivalent to a width of 10 inches and a height of 6.25 inches. 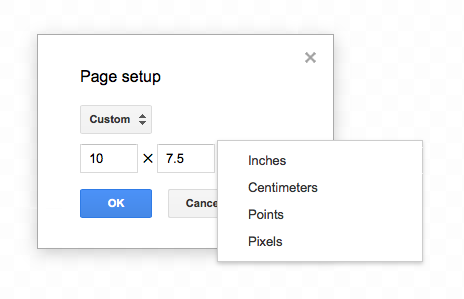 When in custom view you have the four measurement forms of inches, centimeter, points or pixels to choice from. Inches are the standard unit of measurement used by Americans. Centimeters are the standard unit of measurement used by most countries. Points are a printers measurement term based upon typography measurements. Pixels are the resolution measurement term for photographs. Use the form of measurement your most familiar with when choosing page settings. 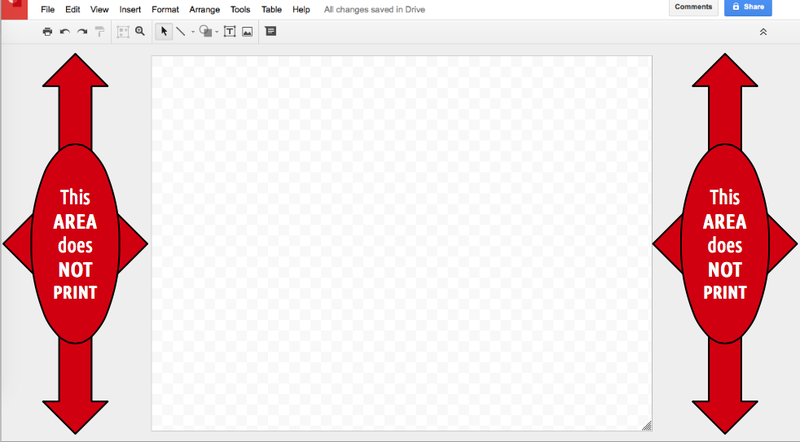 Are you going to be printing the Google Drawing or strictly using it as an interactive manipulative? If printing it is easiest to stay within a standard size paper setting such as 8.5 inches by 11 inches or smaller. Remember the only thing which prints is anything placed within the work area. Choosing which size to use really depends on personal preference and if one is using the drawing to print or as an interactive manipulative. At the beginning of this post is an example of a custom size interactive manipulative where anything laying outside of the work area will not print. However it is suitable for a learning interactive (hyperdoc) Manipulative.